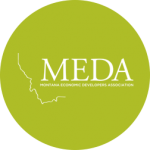 The Montana Department of Commerce is happy to share that the Internal Revenue Service has issued the second set of guidance for the Opportunity Zones incentive. 2019 Montana Housing Partnership Conference 6/17-19 – Billings: Registration is now open! It’s time to register and book your lodging for Montana’s premier housing event!